In 1988 nobody could have predicted that 12 years later the cameras would start rolling on a new version of Crossroads. 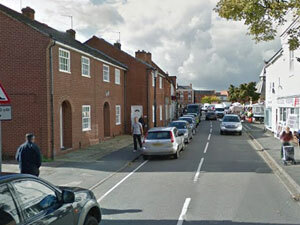 In that time, ITV had sold off their major studio complex in Birmingham, and all network produced material was filmed at their Lenton Lane studio complex in Nottigham. 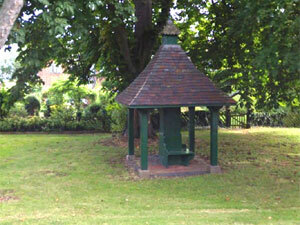 Consequently many of the locations used for the series were actually in the EAST Midlands, rather than the WEST Midlands. This page is under construction, and some images are temporary place-holders until we can source better screen captures. 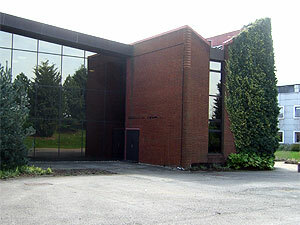 The location used for the hotel was the back of the studio complex on Lenton Lane in Nottingham. 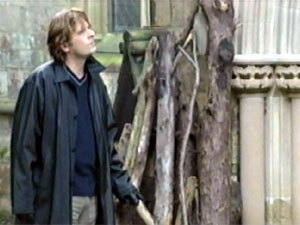 This meant that exterior shots could be filmed easily, quickly and cheaply – important for a fast turnaround soap opera. ITV sold the building in 2005. 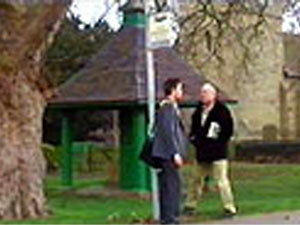 It is now owned by the University of Nottingham and known as the Kings Meadow Campus. More information on the hotel locations can be found HERE. 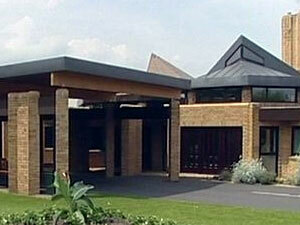 The location for the funeral of Jill Chance was Bramcote Crematorium. 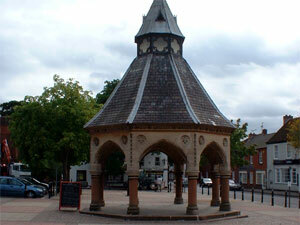 The Buttercross in the village of Bingham formed the impressive outdoor for many scenes throughout the series. 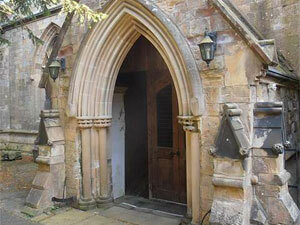 It was the location used for Adam’s wedding proposal, and where Sean tried to scare Nicola. 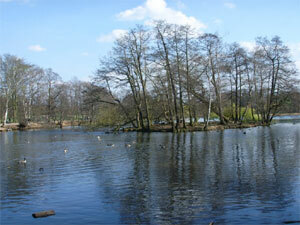 The lake, supposedly just behind the hotel can be found at Wollaton Hall. In Widmerpool, near Keyworth is this rather impressive house. As you would expect it is not really visible from the road though. 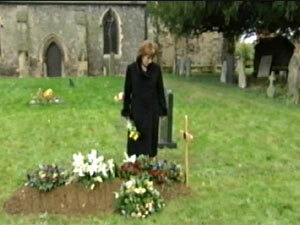 Thurgarton Priory formed the backdrop to the (slightly bizarre) scenes involving Adam’s suicide attempt. 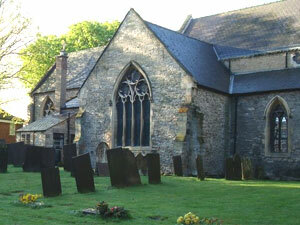 St. Mary and All Saints church in Bingham was used as the location for many of the storylines in the show. 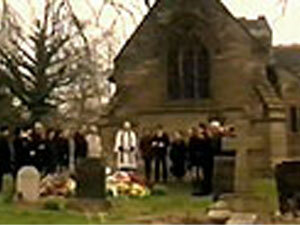 It featured prominently at the Christening of Holly Stocks and the aborted wedding of Mark and Sarah Jane. 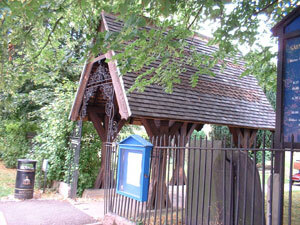 The distinctive lych gate appeared several times. 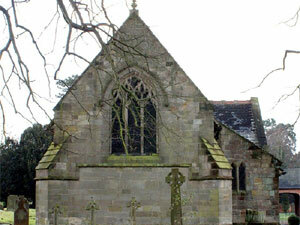 St. Mary and All Saints church in Bingham was also used for the graveyard where Patrick Russell was buried. 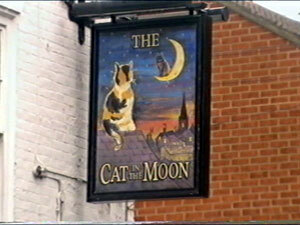 Before the producers built “The Cat In The Moon” in 2003, “The Salutation” Pub in Keyworth was often used in the series. Tracey and Bradley came here for a quiet drink or two.. before their ill fated affair. 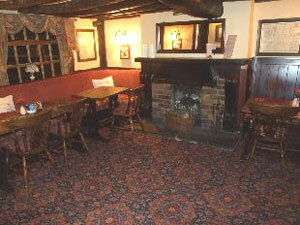 When Jill returned to Kings Oak, she spent a lot of time drowning her sorrows. 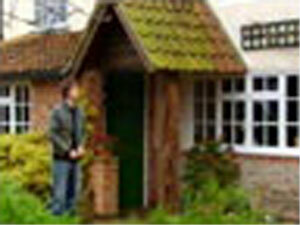 Bradley picked up a very worse-for-wear looking Jill from outside this pub at the beginning of the series. 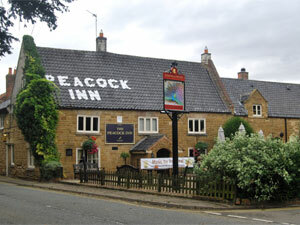 Just opposite the Peacock pub, on Main Street in Redmile is this building which formed the real life location for the KO café. 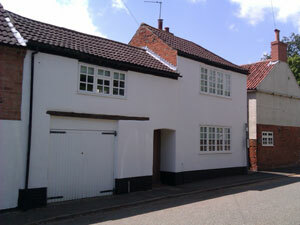 It is now a private house and the café window has been replaced by a garage door. Later in the series an alternative exterior was shown to represent the Kings Oak Café. It is now a restaurant. 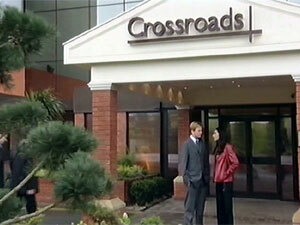 At the end of 2002, with 320 episodes under their belts, the producers of Crossroads stopped filming. ITV brought in executive producer Yvon Grace and asked her to revamp the series. 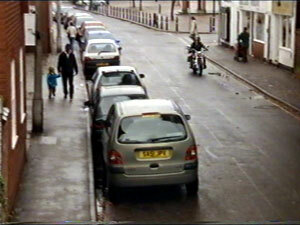 The following locations were seen on screen between January and May 2003. 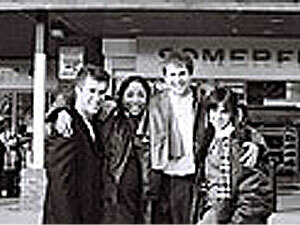 The hotel exterior remained at the Carlton Television studios in Nottingham. 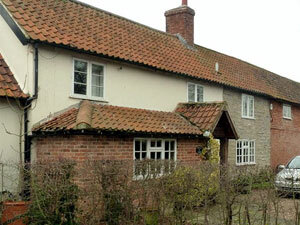 The overall shape remained the same, but white render was added to most of the brickwork. 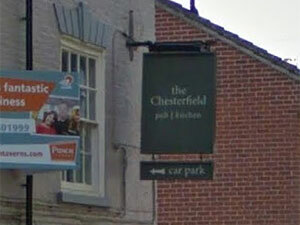 The King’s Oak Café did not appear in this version of the series, instead the CHESTERFIELD ARMS in Bingham doubled for “The Cat In The Moon” pub, run by Dave and Oona Stocks. 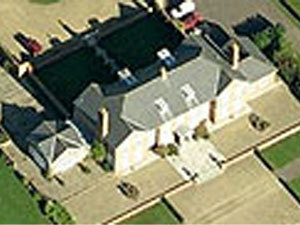 A location used throughout the 2003 series was the house owned by Ethan Black. 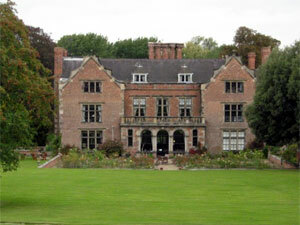 In reality this is Thrumpton Hall. The private lake was used in several scenes, notably the 1970’s flashback week. The venue is now available to hire for weddings. Conveniently (for Bishop Black at least) the church in which he delivered his sermons is also in reality in the village of Thrumpton. “All Saints” church. More information can be found HERE which is where the recent picture comes from. 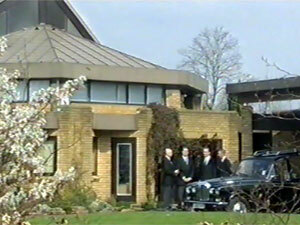 Fans of the original series (1964-1988) know that Crossroads was built on to Meg’s old house. 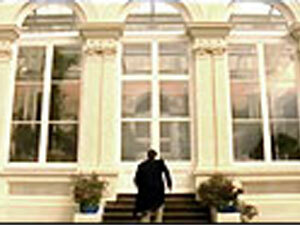 It was nice therefore to see an old orangery become part of the locations. It is really at Colston Bassett Hall. 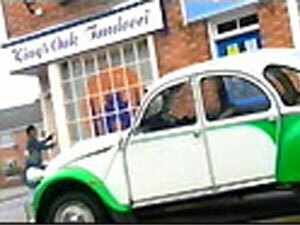 To save the day when a load of Bollywood guests turn up at the hotel, Lola rushes to the Kings Oak Tandoori to buy food. In reality it was a clothing shop on Market Street in Bingham. 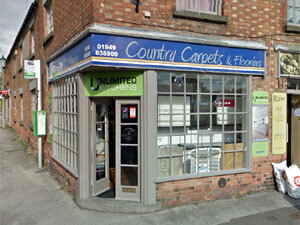 It is now a carpets and flooring shop. 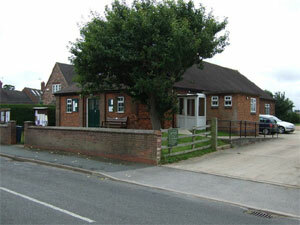 Valentine Starwood, aka Lionel Blair held his dance classes at the village hall in Kings Oak. 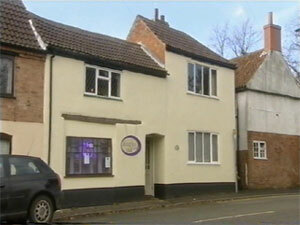 In reality the hall is in the village of Kingston Upon Soar. The hall is available for hire – should you want to re-enact your favourite scenes! Scott waited for a bus by this charming green structure – which isn’t a bus stop at all, but the remains of the village pump in Kingston Upon Soar. 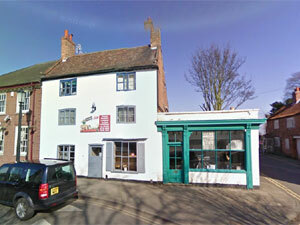 In fact – not far from the village hall above. Took ages to find this one.